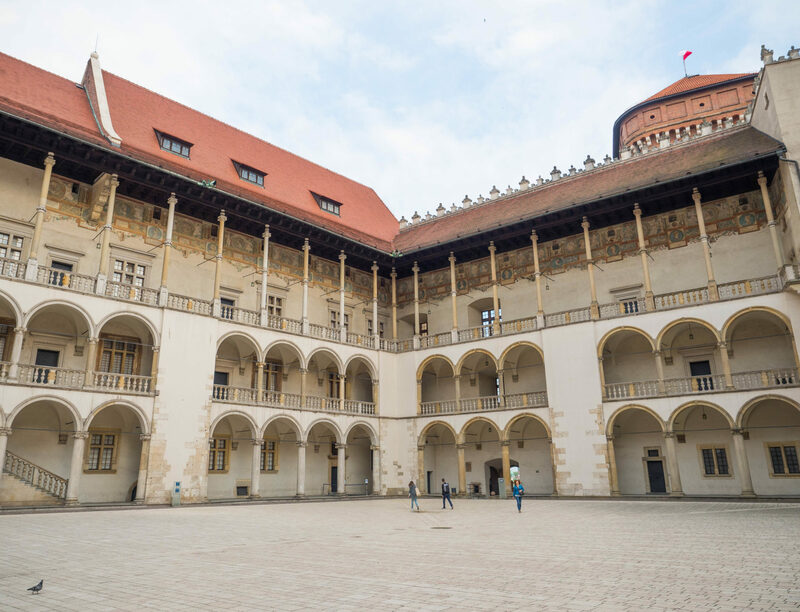 I didn’t know much about Poland before I visited Krawkow, and I was very pleasantly surprised by the city. 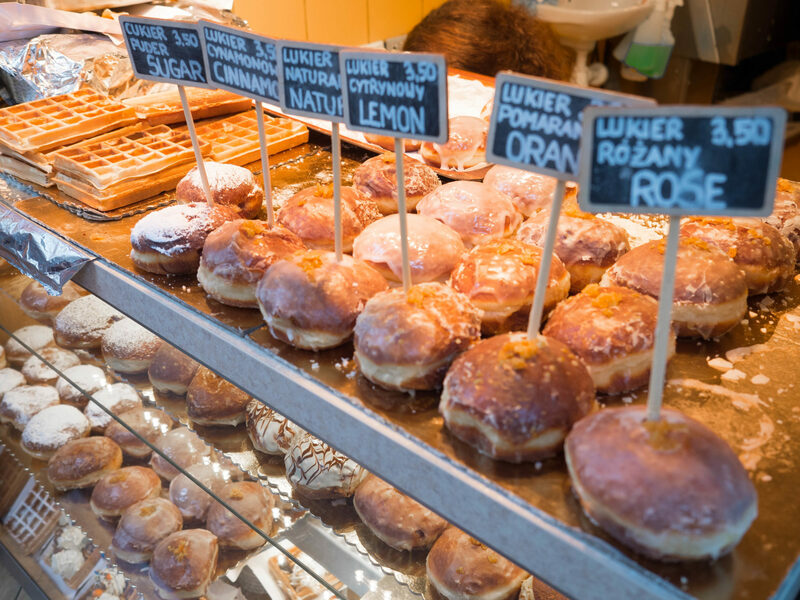 It’s easily walkable, and there’s so much to see and do. I know 48 hours doesn’t sound like a lot of time, but you can definitely make the most of it. Here’s my suggested 2-day itinerary. I think a bike tour is a great way to orient yourself to a new city. 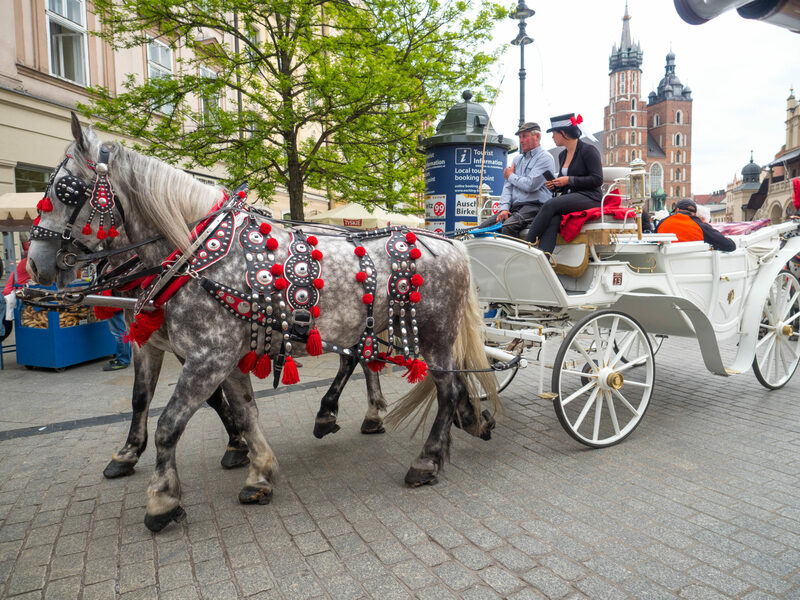 My group did a tour with Cruising Krakow and it was super informative, plus we got to see a lot of the main attractions right at the beginning of our stay. The tour lasted around 4 hours and cost about 20 EUR/person. Below are some of the highlights of the bike tour. The main square is surrounded by historic buildings and churches. 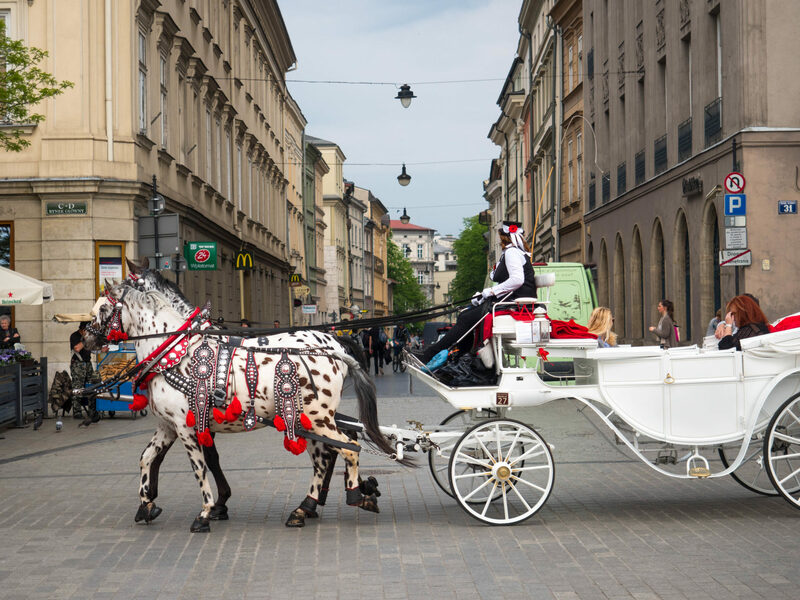 I really loved all the horse-drawn carriages around the square. The horses were so beautiful, their coats were unlike any I’d ever seen before. 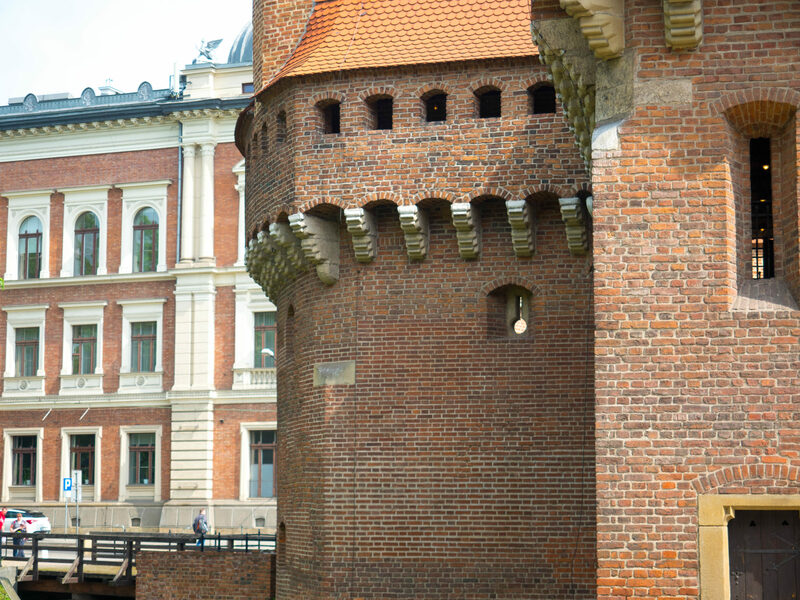 During medieval times Krakow was surrounded by a defensive wall complete with 46 towers. Remnants of the wall and towers still remain and can be seen around the city. A loophole window, designed for use by archers. 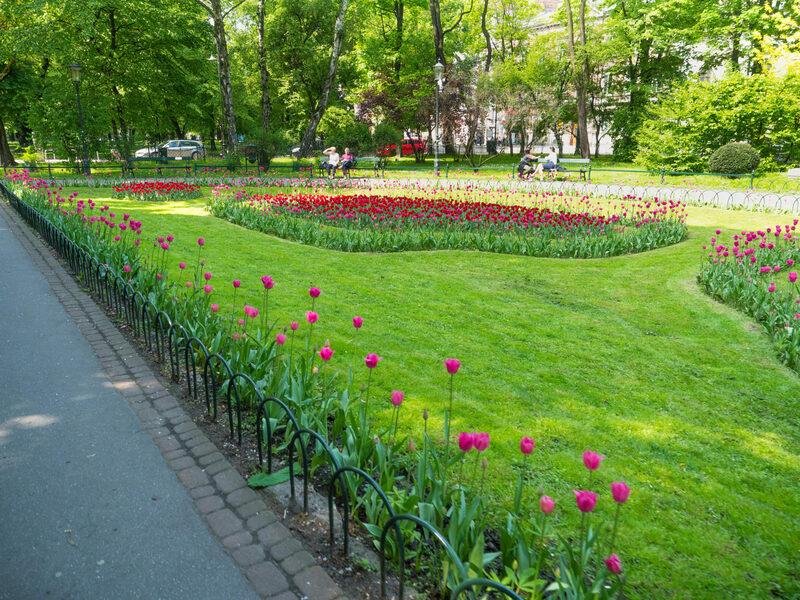 The planty gardens are one of the largest parks in Krakow. This garden encircles the old town and is the location of where the old medieval walls used to stand. 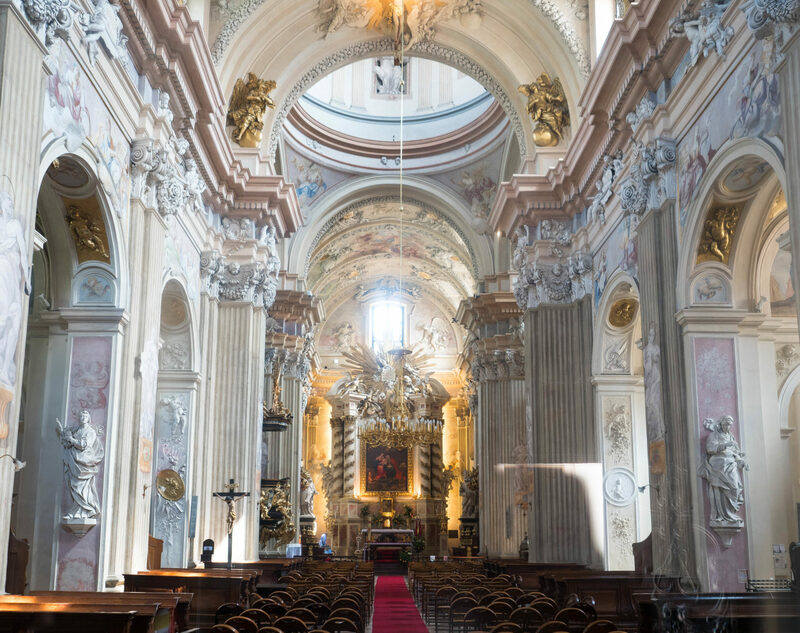 This church dates back to the 14th century and is an example of Polish Baroque style. The interior is stunning and definitely worth a look. 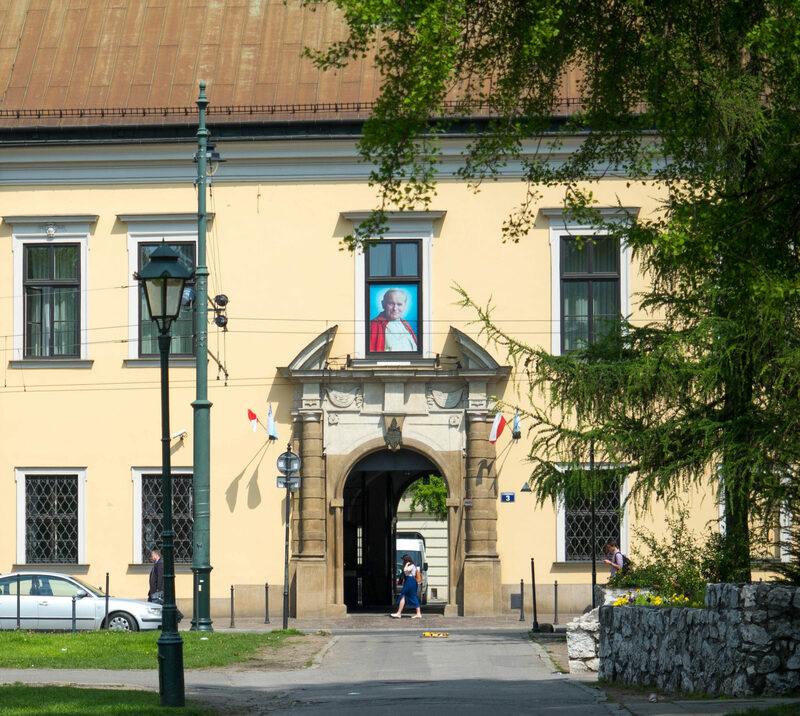 Pope John Paul II was born in Poland. He served as pope from 1978-2005. 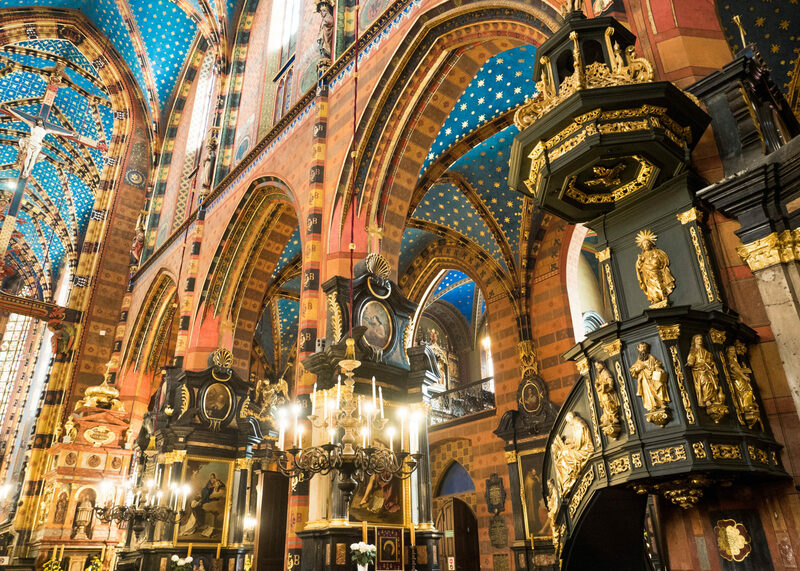 He spent most of his early life in Krakow and attended university there. He greeted crowds from the window seen below. 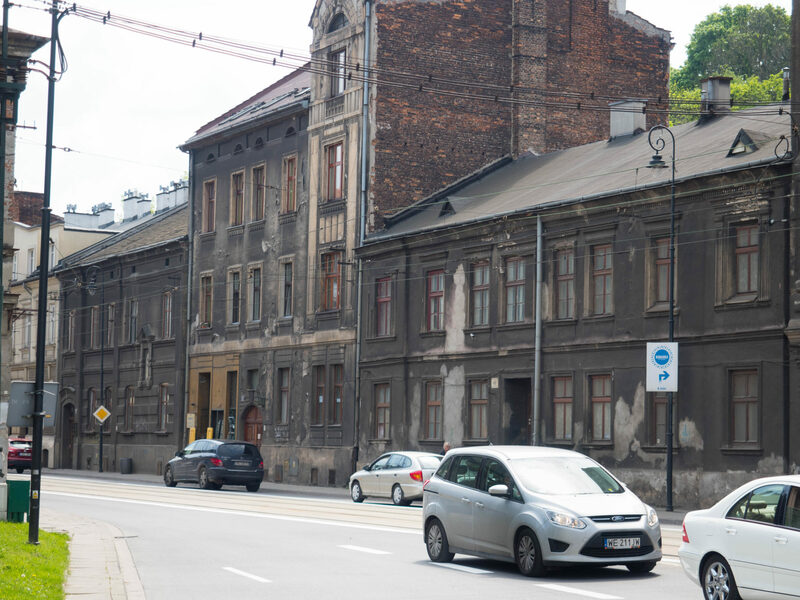 Schindler’s factory was a metal factory that is now home to the Museum of Contemporary Art and the Historic Museum of the City of Krakow. 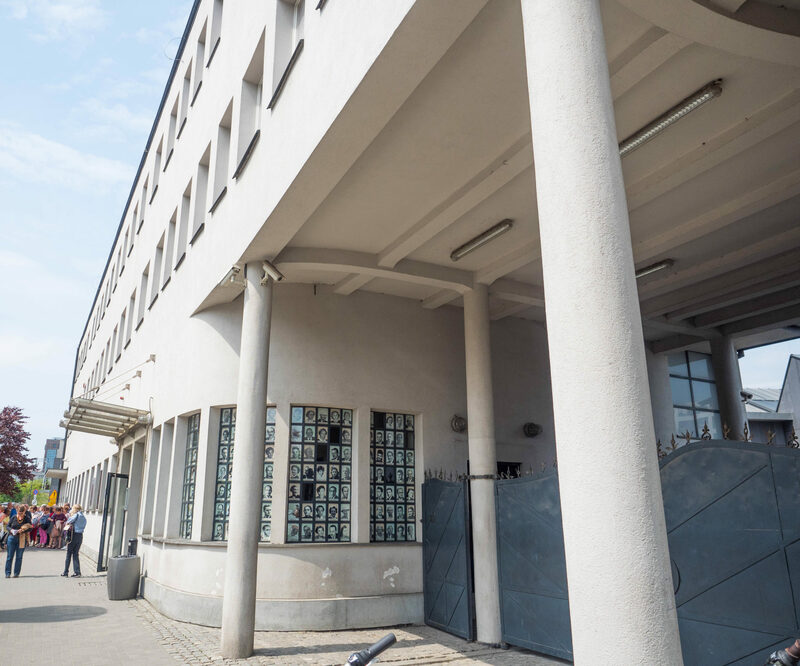 The museum tells the story of Oskar Schindler, a member of the Nazi party, who saved the lives of his Jewish workers during the Holocaust. The windows are filled with pictures of people he saved who are still alive today. You can immediately notice the difference in the quality of buildings that remain in the Jewish ghetto today. 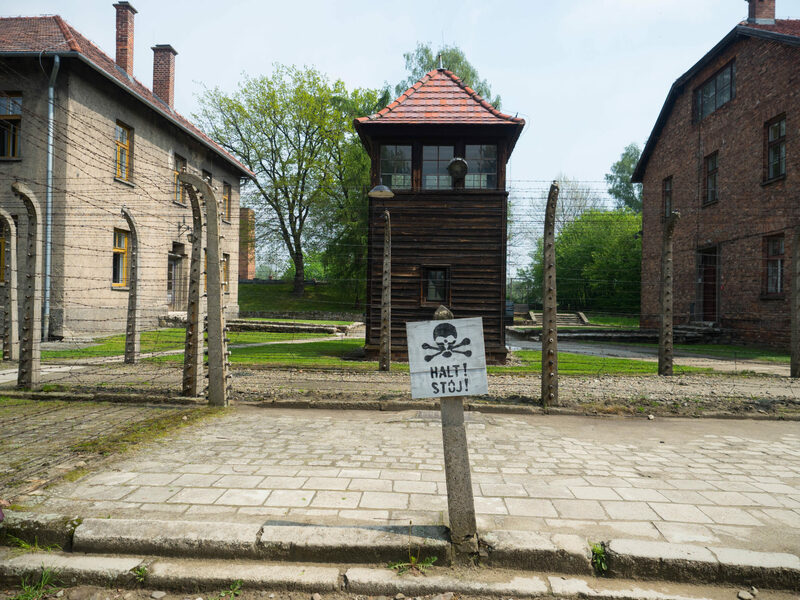 During WW2 the ghetto was enclosed by barbed wire and stones in the shape of tombstones. 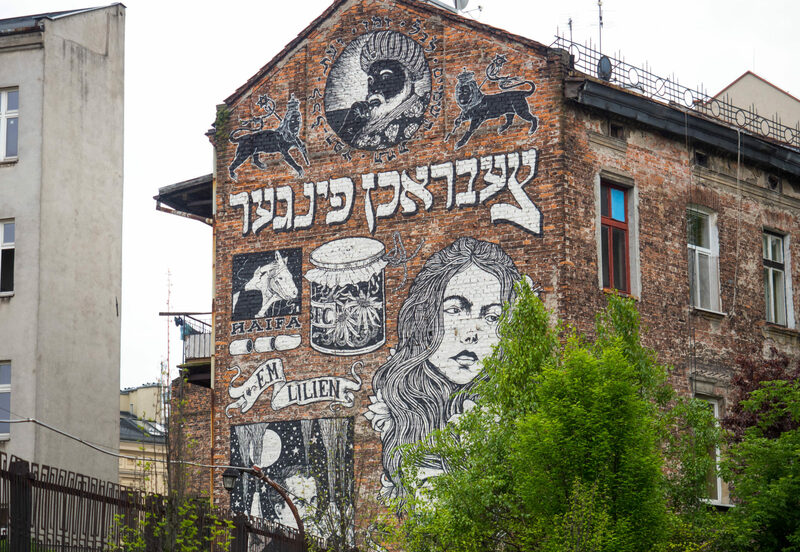 In 1942, the Nazis began deporting Jews from the ghetto to the concentration camps nearby. 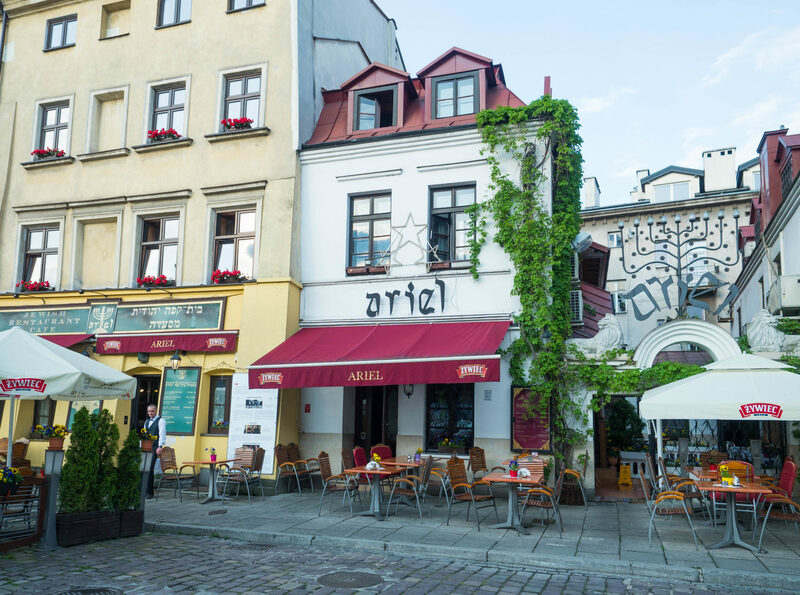 This newly developed neighborhood in Krakow now houses Jewish restaurants, stores, and bars. 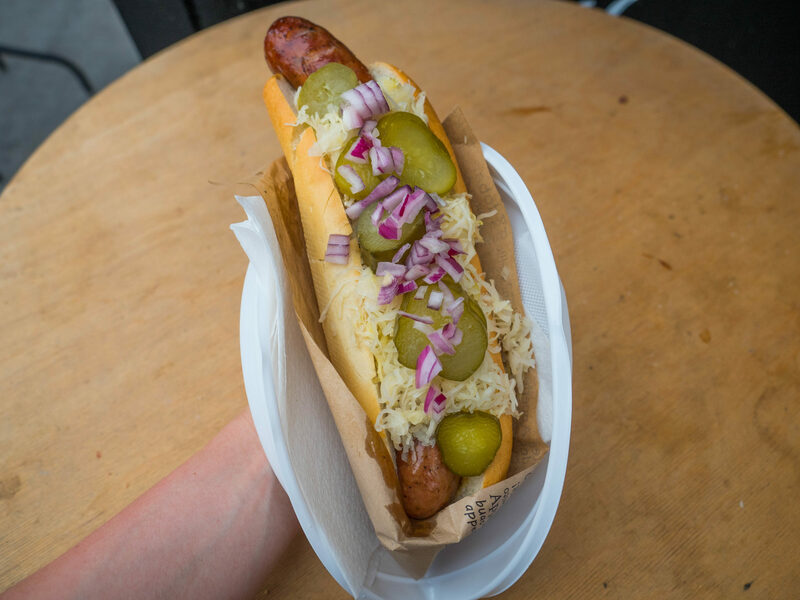 The Jewish Cultural Festival is held here every June and attracts visitors from around the world. 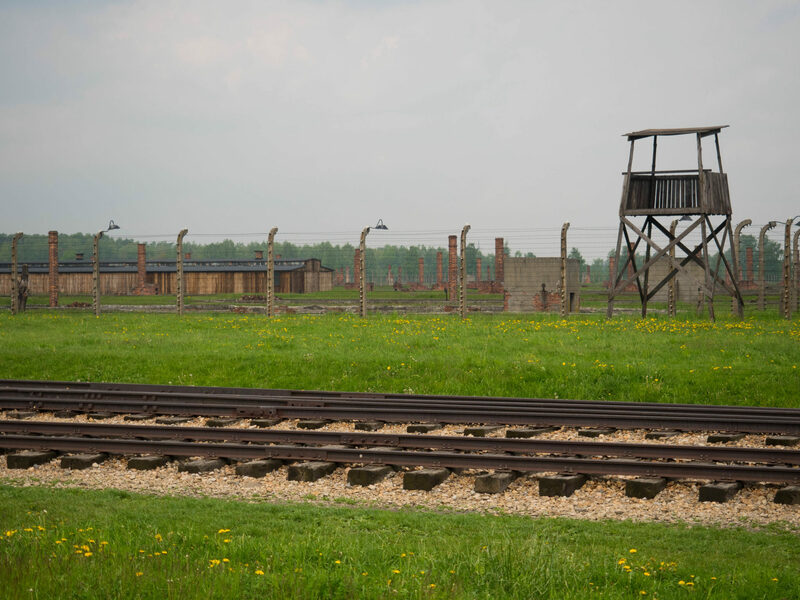 The Auschwitz concentration camps are located about an hour and a half outside of Krakow. The museums attract over 1 million visitors yearly. You can buy tickets from several companies around the city. 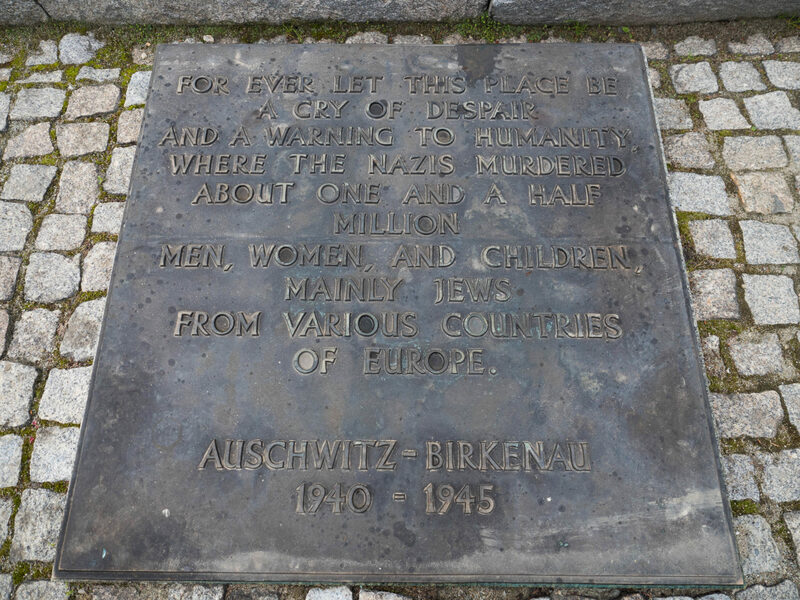 Although a very sad and sobering experience, I think it’s important to visit Auschwitz to remember the horrors of the past so they aren’t repeated in the future. 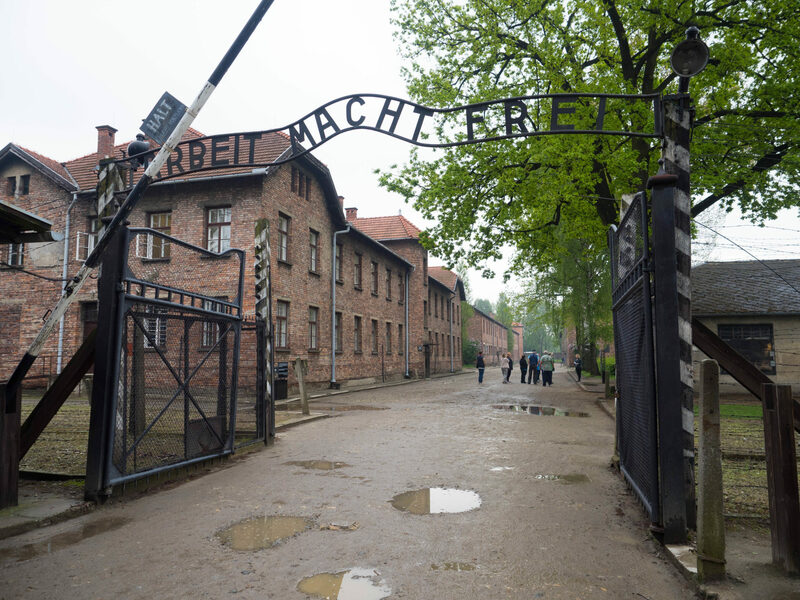 Entrance to Auschwitz I. Arbeit macht frei is a German phrase meaning “work sets you free”. 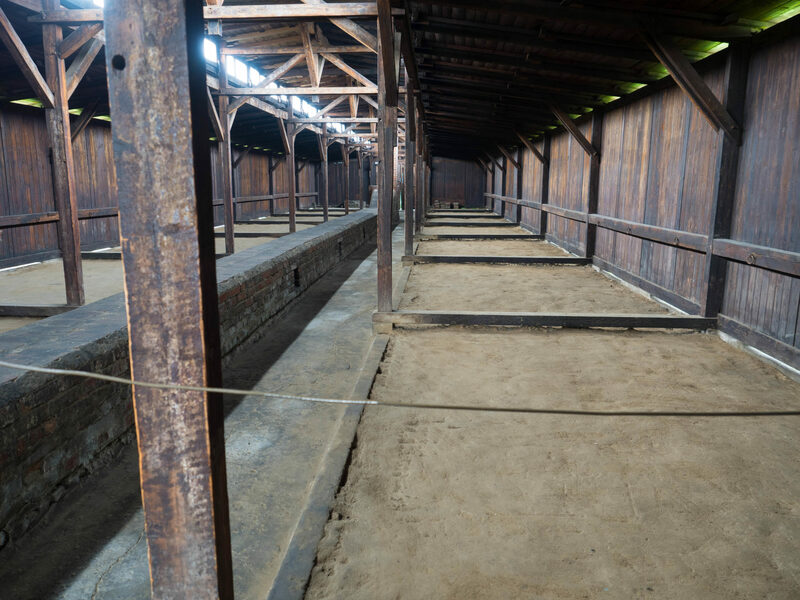 Construction of Auschwitz II or Birkenau began in 1941. 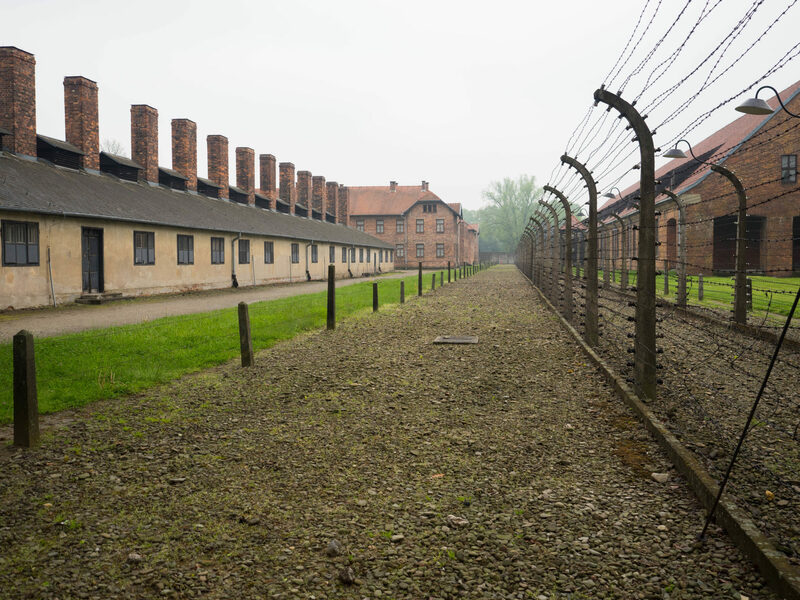 This camp had the largest total prisoner population during the Holocaust. 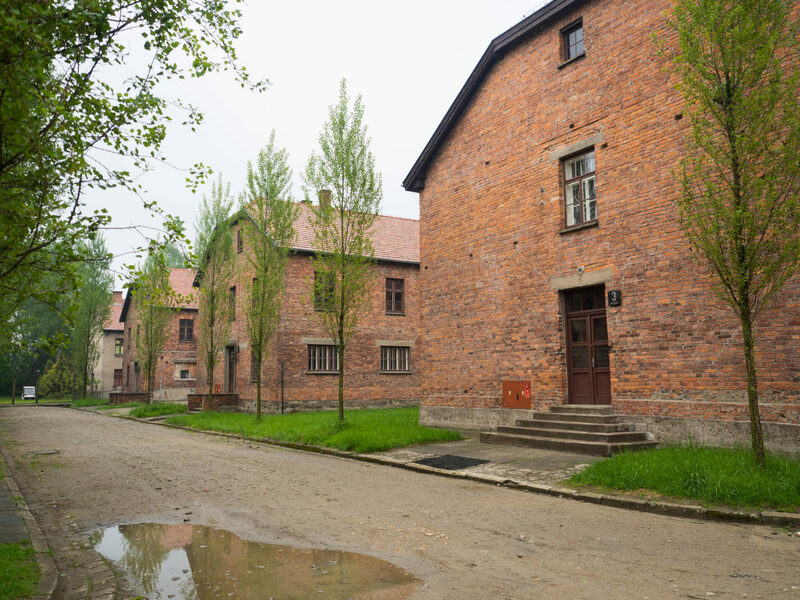 Between 1942-1944 Jews from all over German-occupied Europe were transported to these camps. 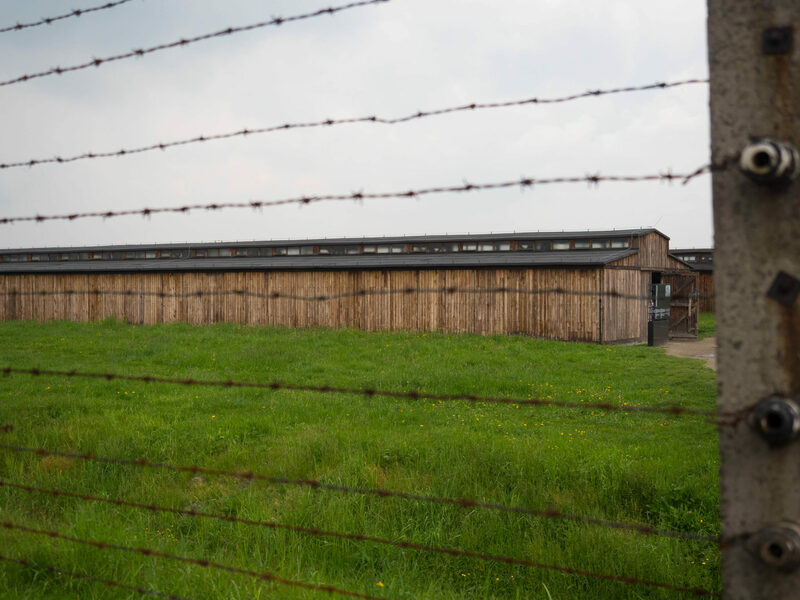 Out of the 1.3 million people that entered the camps, an estimated 1.1 million died. They were poisoned with Zyklon B (a pesticide). 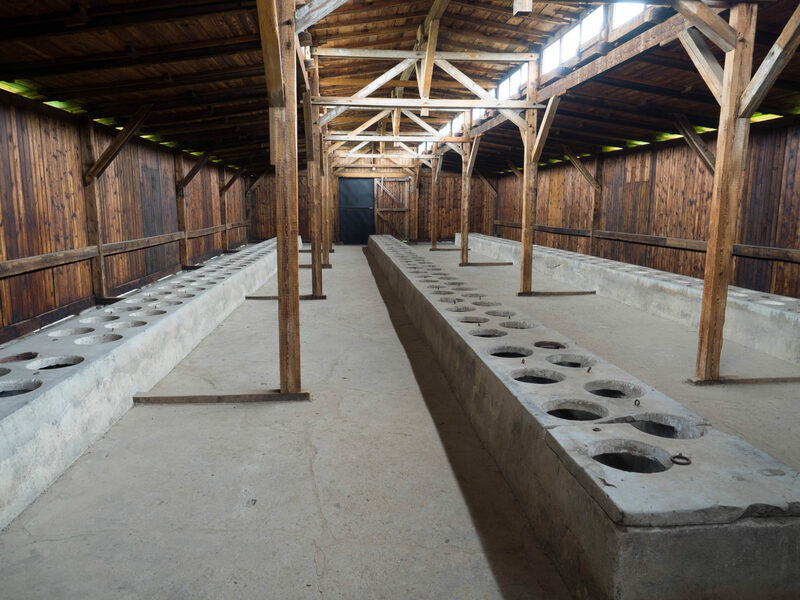 Those not killed in the gas chambers died of either starvation, forced labor, infectious disease, or medical experiments. Sleeping facilities that were filled with bunk beds. Trains dropped the victims off directly at the camp. 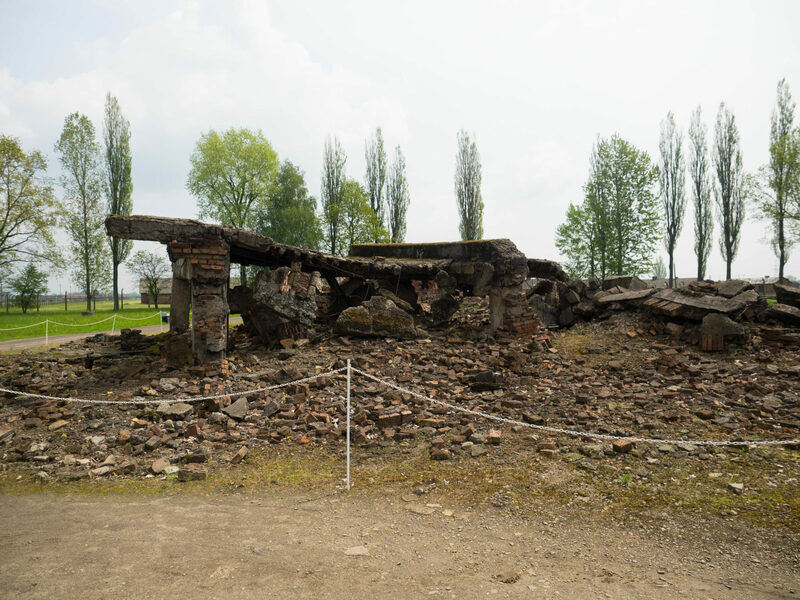 Remnants of a gas chamber that was demolished by the Germans at the end of the war. 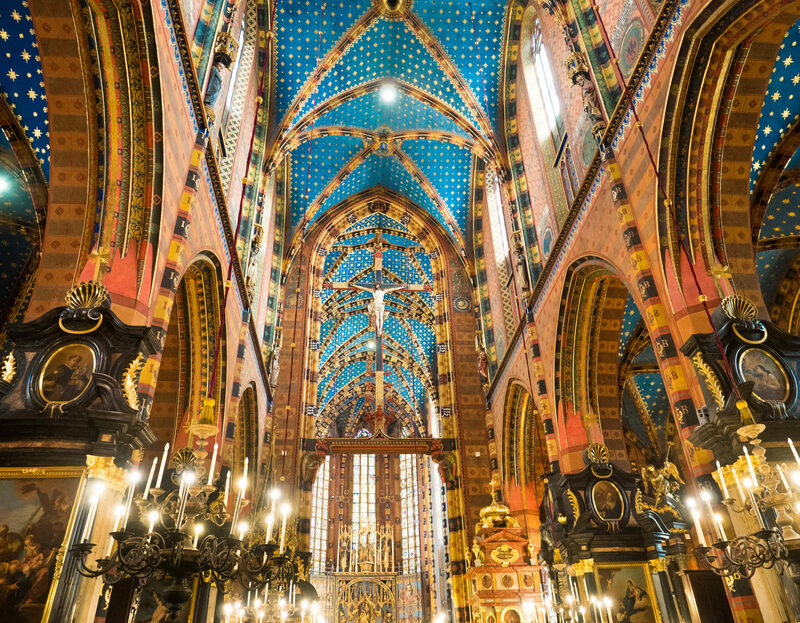 Built in the 13th century, this Gothic-style church has one of the most beautiful interiors I’ve ever seen. The ceiling is painted bright blue and adorned with stars. 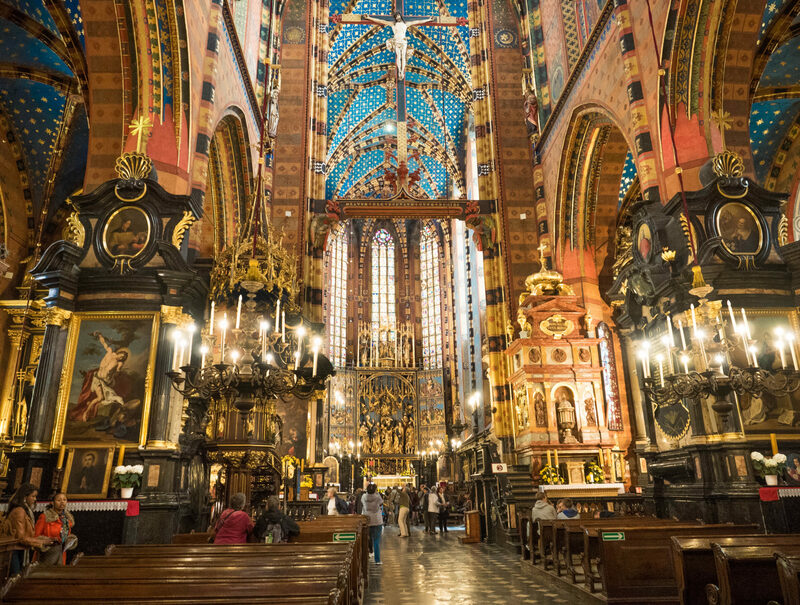 The golden altarpiece is also another site not to be missed. 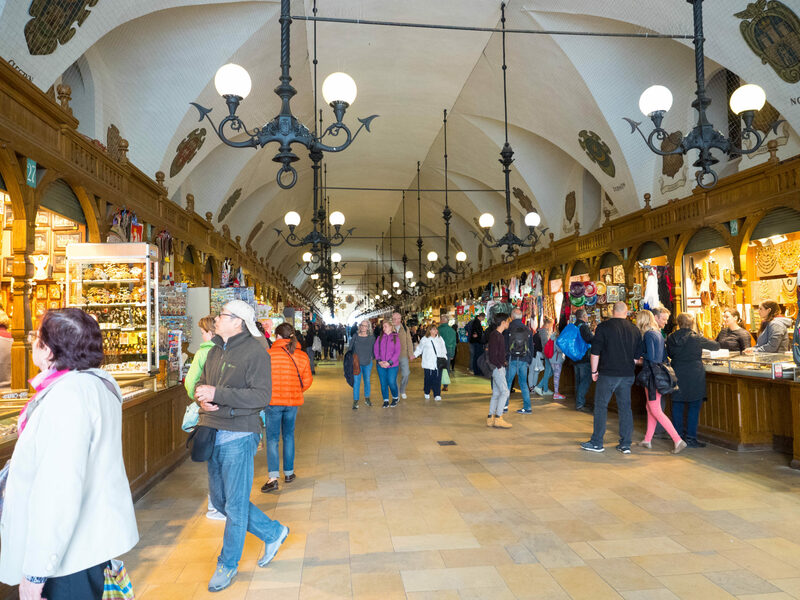 One of my favorite things to do in a new city is to wander around the market, and Krakow has an amazing open-air market located in the main square. 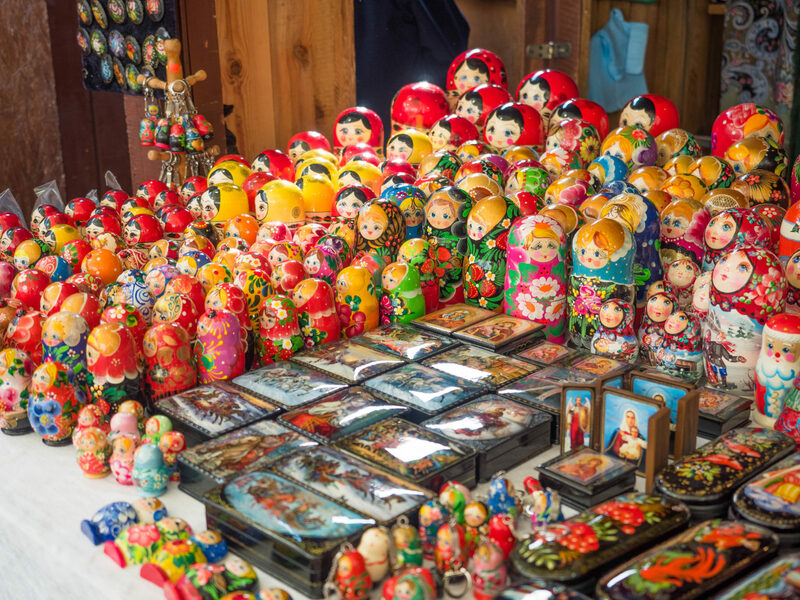 The stalls are filled with delicious food, handmade crafts, and souvenirs. The Cloth Hall is the central feature of the main square. Many years ago it was the center of international trade from the east with exotic imports of spices, silk, leather, and wax. 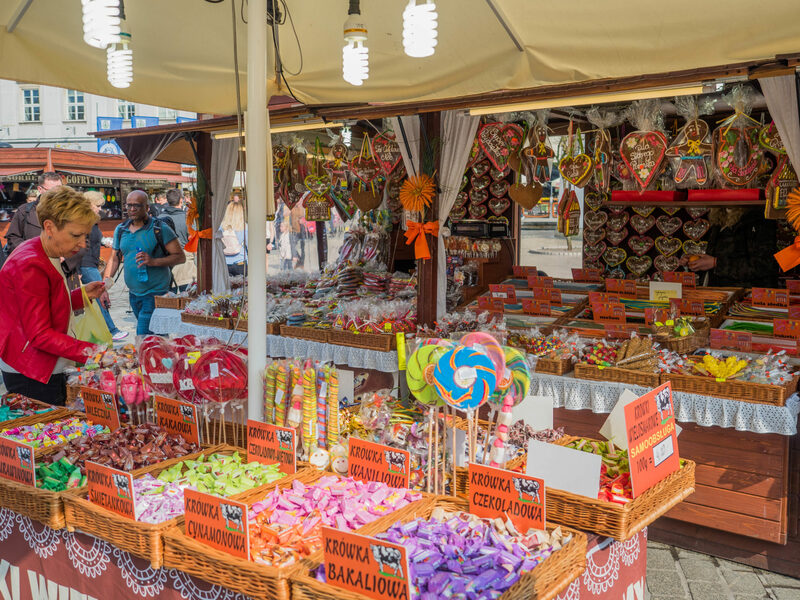 Today it houses craft shops and is a great place to pick up some souvenirs. 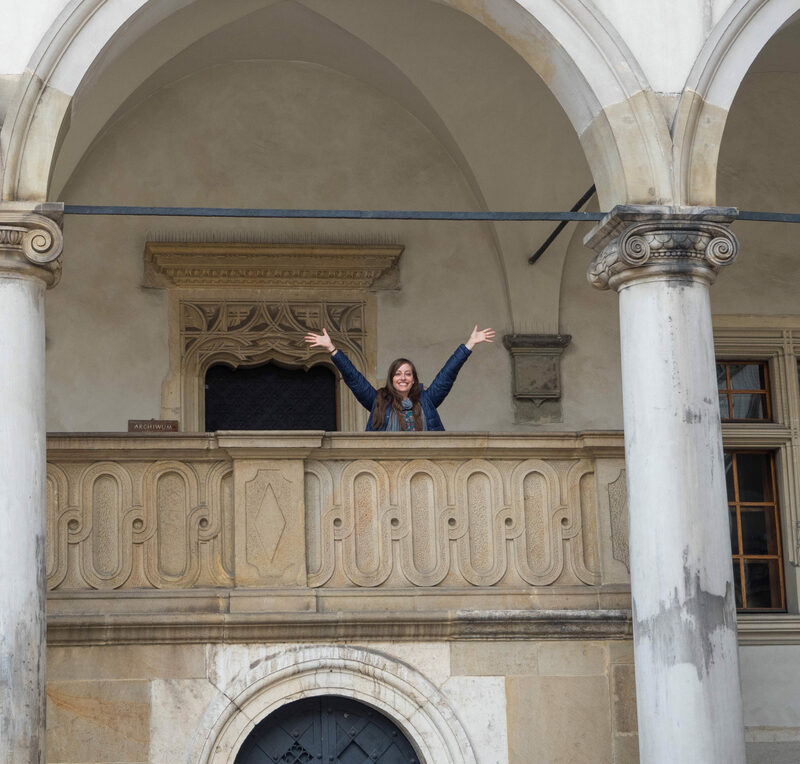 This Polish castle looks so eclectic because it was built in a combination of European styles including medieval, renaissance, and baroque. 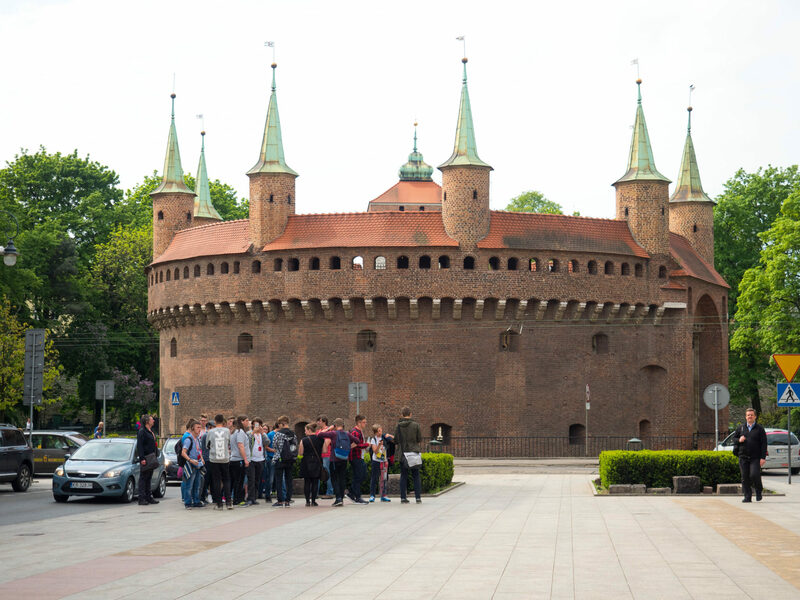 Humans have lived on the site of this castle since the Paleolithic period dating back 50,000 years! 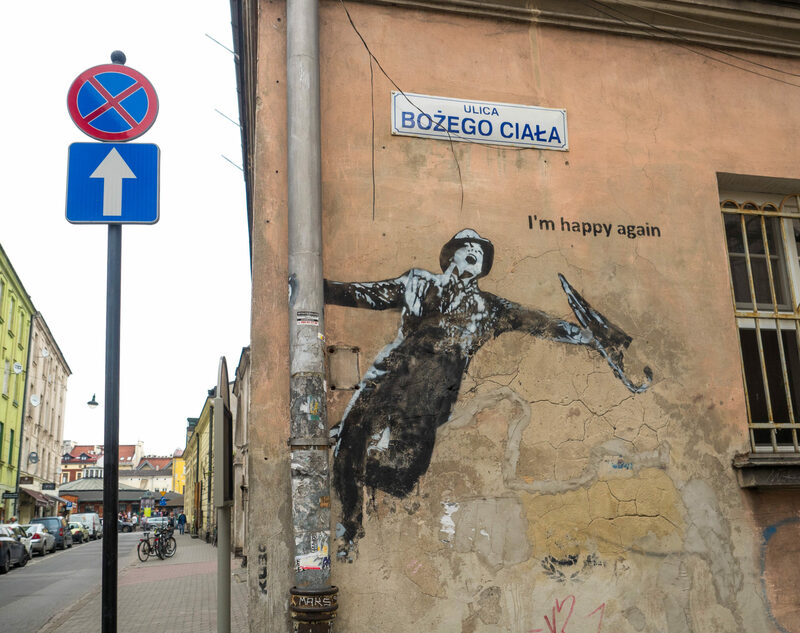 That’s all for Krakow, stay tuned for more adventures! This looks like an amazing couple of days. Chilling too. But I’m glad you were able to top it off with some pierogi. It was. 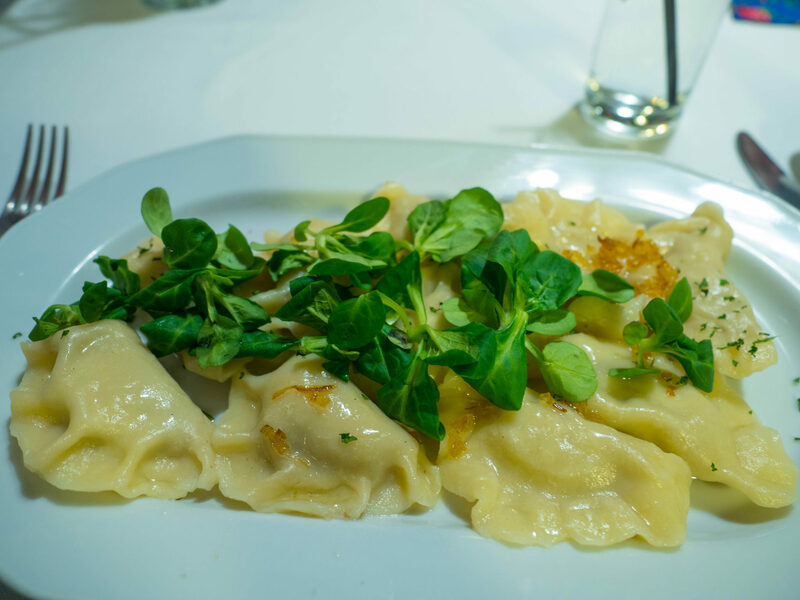 I’ve been a big fan of pierogis for many years. Not the healthiest option, but so good! Such a fascinating city! Beauty mixed with horror! Thank you for sharing! Wasn’t on my bucket list until I read your post but have now added it! !